Kingston Residents can request a Positive Declaration in SEQR that would allow more input and studies on the proposed Kingstonian Project. With the Lead Agency for the Kingstonian Project underway (READ: Kingstonian Project and SEQR: Lead Agency), we anticipate the Kingston Planning Board will secure that role for the Kingstonian Project SEQR process. With a 30-day window for confirmation that began on January 29th, we expect confirmation by February 28th. Once Lead Agency is determined, the next significant milestone in SEQR will be a 20-day window for Lead Agency to make a “Positive” or “Negative” declaration for the Kingstonian Project. With a project this large and significant, we are advocating for a “Positive Declaration” (Pos Dec) in SEQR and are currently putting together a coalition of partners to make that same request. To assure that the public is involved in this request, we have also created a petition that we will submit with our coalition letter in a couple of weeks. Please join us by signing our PETITION by Friday, March 1st. With the recent changes in SEQR Regulations, a “pos dec” immediately triggers a public scoping process which would be a great opportunity for our community to work on this together. The Scoping Process in SEQR. As of January 1, 2019, when there is a “Pos Dec” determination, scoping is automatically triggered. This is in the public’s best interest, as prior Jan 1 this year, an additional request would have had to have been made. 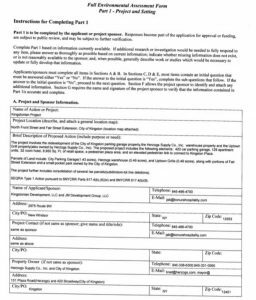 A “draft scope” would be created and submitted to the Lead Agency by the applicant at some point in time that would then be released to the public (as my mentor, Kate Hudson, used to say, “Think of a draft scope document as a ‘table of contents’ for the project”). Once it is received by the Lead Agency, approved and released – there is a 30-day window that occurs for the public to review the document and to make additional comments for study. In our petition and coalition letter, we are requesting 90-days as well as a public meeting. The comments/questions of concern are ultimately sent to the Lead Agency to vet – and once approved, a ‘final scoping’ document is created and sent to the applicant who is then required to answer each questions in what will become a Draft Environmental Impact Statement (DEIS). More on that later on. We need to achieve a pos dec first. The Input of Citizens and Advocates is Critical for a Good SEQR Process and Outcome. There is no one better to do this work than the citizens who will be directly impacted (both negatively and/or positively) to a project like this with the support of advocates who have dedicated their life’s work on the range of issues that may arise. We hope you’ll join us as we take our first step in preparing to ask the Lead Agency to issue a “Pos Dec” on the proposed Kingstonian Project. 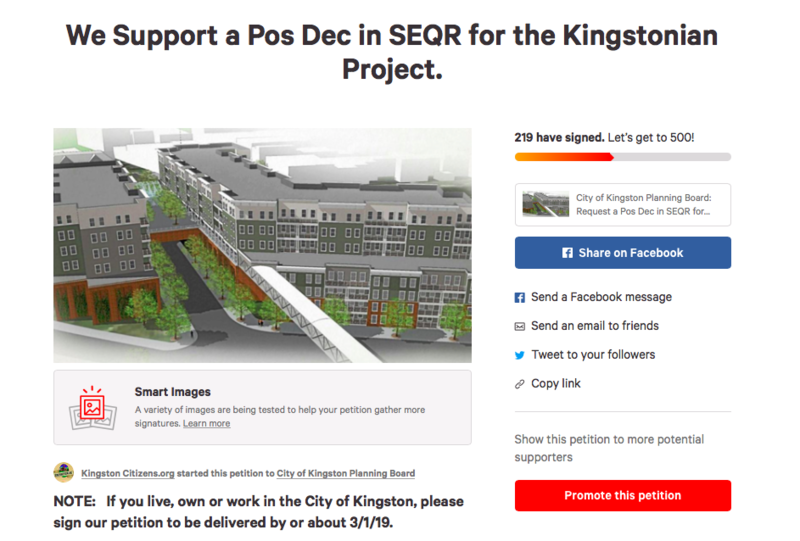 If you live in the City of Kingston, please sign our petition to be delivered by or about 3/1/19. 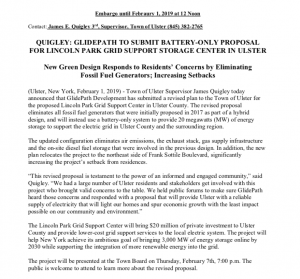 READ: GlidePath’s Letter to the Town of Ulster with their new plans.